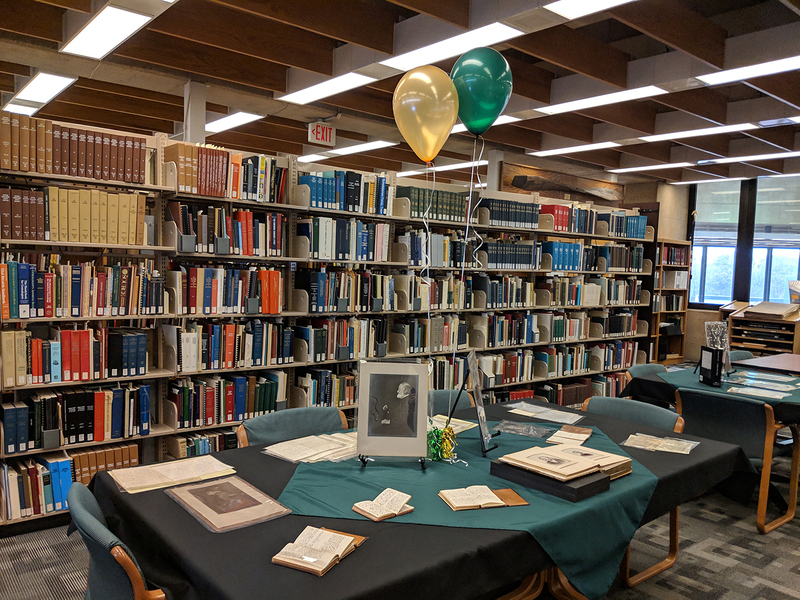 We are pleased to announce that all 41 diaries of Bishop Milton Wright, father of the Wright Brothers, have been digitized and are now freely available online, anytime, through the Wright State University Campus Online Repository, at CORE Scholar: Milton Wright Diaries. Bishop Wright chronicled the daily activities of his life for 60 years, from 1857, when he was in his late twenties and still unmarried, all the way through to his death in April 1917. In that span of time, he married his wife Susan (whom he lost after 30 years of marriage in 1889), became the father of 7 children (and lost 3 of them including Wilbur) and grandfather to several more; and saw many other changes in both his own life and the world, not least of which being the successful invention of the practical airplane by two of his own sons. The diaries “provide a detailed chronicle of Milton Wright’s dynamic, and sometimes controversial, ministry and leadership in the United Brethren Church, and his role as the father of the famed inventors of powered flight. The diaries also demonstrate the Bishop’s awareness of local, national, and world events, as well as his political allegiance and support of progressive movements, such as women’s suffrage. Probably the most important contribution the diaries make to present scholarship on the Wright Brothers is the greater knowledge we gain about the dynamics of the Wright family. Through his daily writings, Milton Wright allows us to know him as a husband, father, and grandfather. Taken as a whole, the diaries provide an essential resource in the study of the history of the Wright Brothers’ career in aviation, the history of the United Brethren Church, and the life of a man dedicated to his family and his church” (Dawne Dewey, Preface, Diaries, 1857-1917 by Milton Wright, copyright 1999). 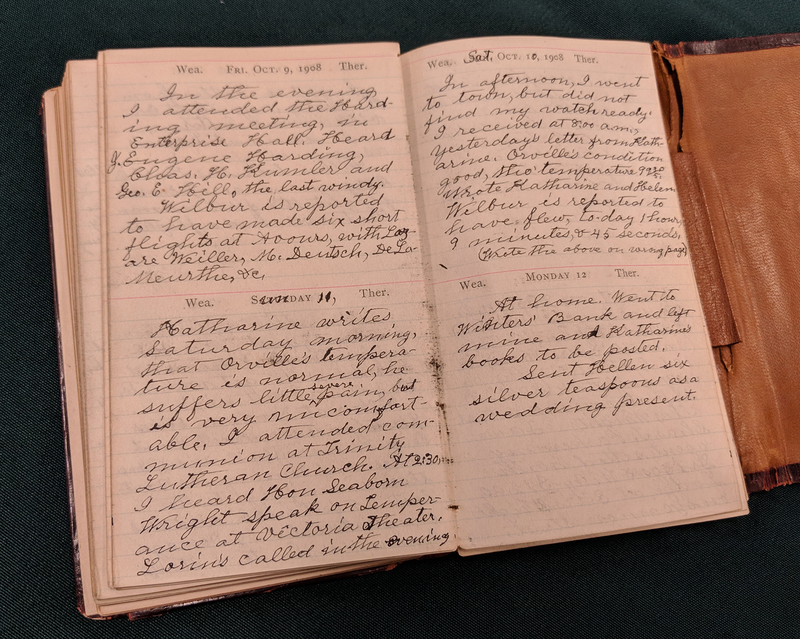 Since 1975, researchers have been able to examine the original diaries, which are part of MS-1: Wright Brothers Collection, by visiting Special Collections and Archives, Wright State University Libraries. And in 1999, a complete edited and indexed transcription was published. However, this is the first time the diaries in their entirety have been made available online, allowing researchers worldwide to peruse and keyword search the journals at their own convenience. 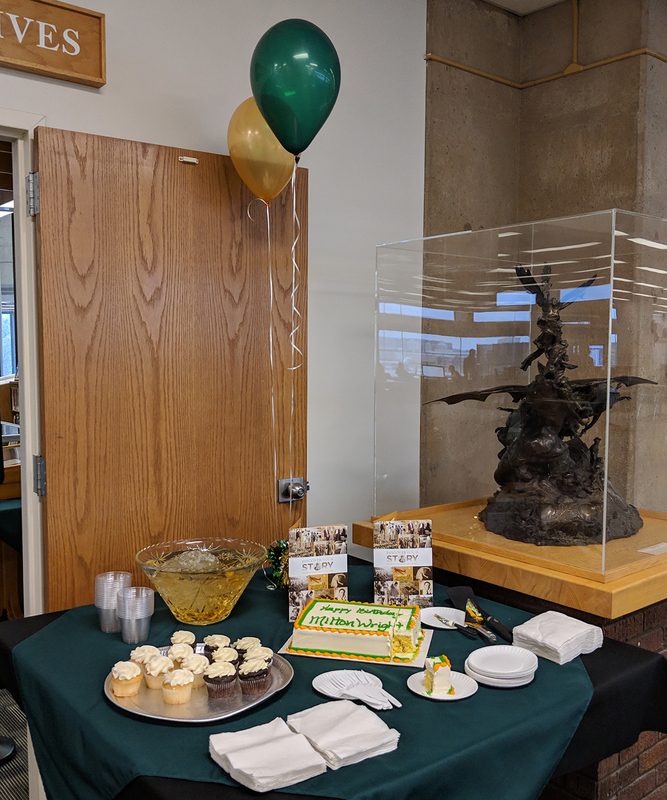 Last Friday, Special Collections hosted a “birthday party” for Milton Wright (his birthday is Nov 17) in conjunction with the release of the Bishop’s diaries on CORE Scholar. We shared original photographs, letters, and other documents pertaining to Bishop Wright, as well as the original diaries of course. DIRS staff also provided demonstrations of using the digitized content on CORE Scholar. Thanks to everyone who came to the party and helped us celebrate the life of this very special man, Bishop Milton Wright. 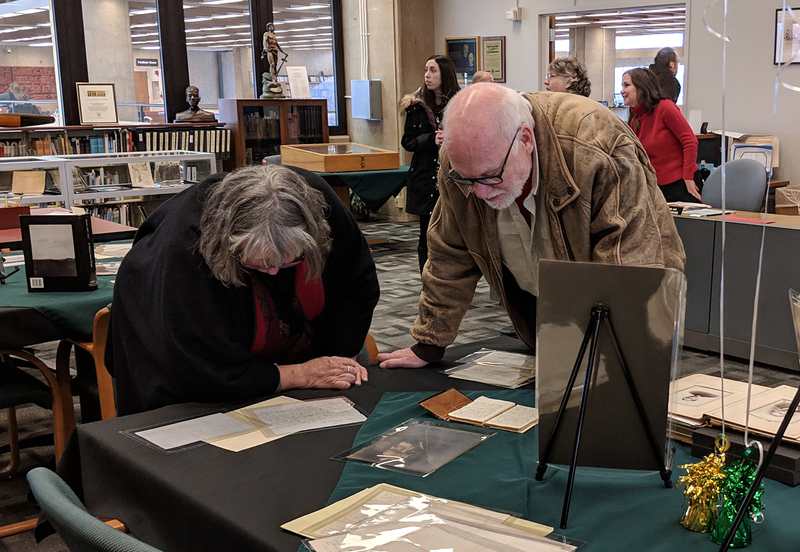 A wonderful article “Historical Handwriting” on the Wright State Newsroom has more information about the Milton Wright Diaries digitization project. 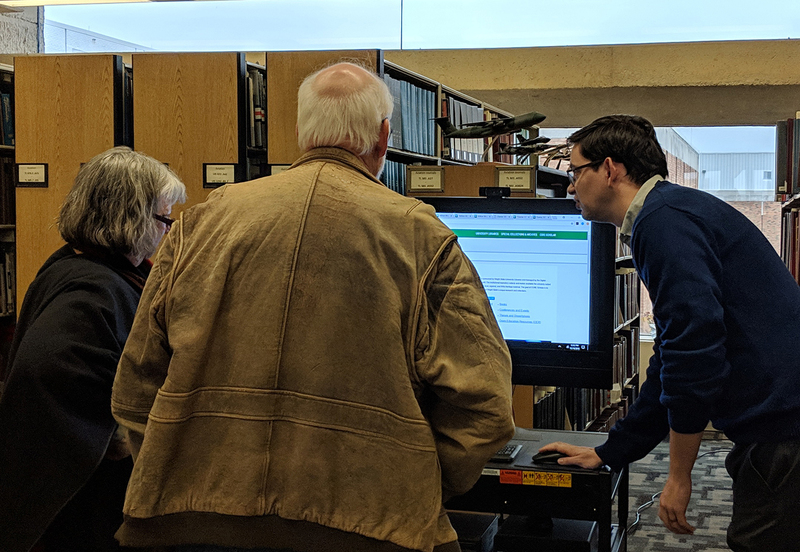 If you have questions about this or any of our other digital projects or archival collections, please do not hesitate to contact Special Collections & Archives. This entry was posted in Aviation, Collections, Local History, Outreach, SC&A, Wright Brothers and tagged Bishop Milton Wright, collections, CORE Scholar, digital collections, MS-1, new collections, news, outreach, Wright Brothers. Bookmark the permalink.